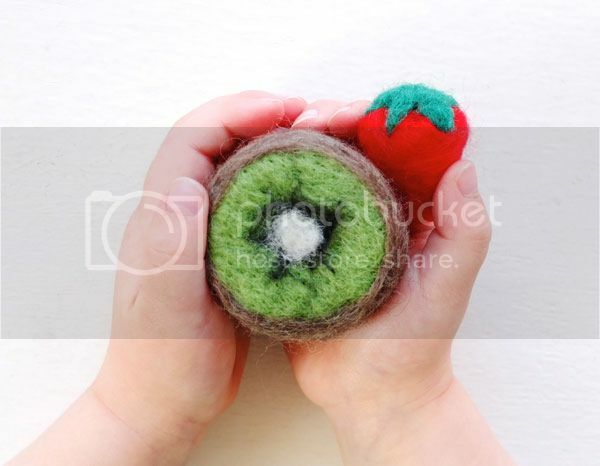 Last week I showed you how to make a Needle Felted Kiwi fruit for fun pretend food play. 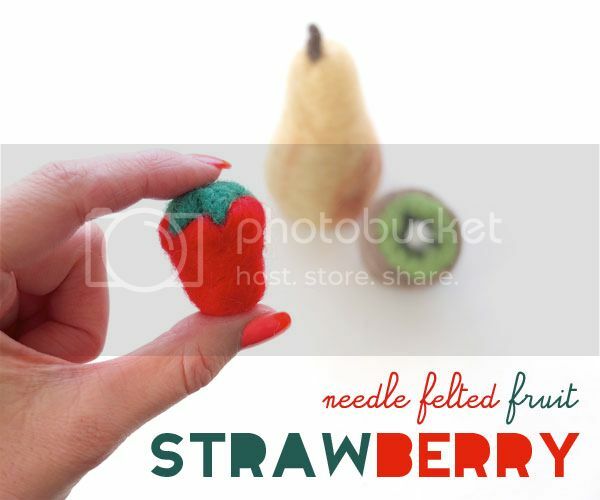 This week you can add to your felt fruit collection with this cute little strawberry. 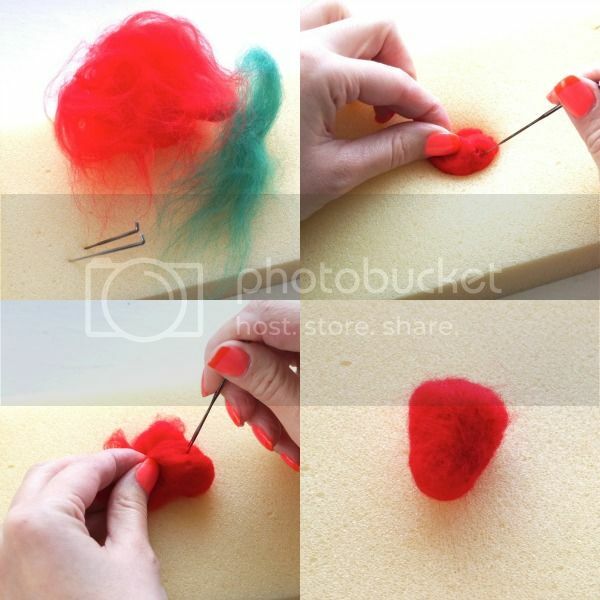 It's very easy to make and a good place to start if you are new to needle felting. - To make the basic shape, take a small ball of red roving and start needling to form a small conical shape. Add layers of roving and keep needling until you are happy with your shape. - To make the leafy stalk, take a small amount of green roving and needle it in the center to hold its form. Pull out and twist the loose fiber on the edges into 5 points. Finish by needling each point into a leaf shape. - To join the 2 parts, start by deep needling the leaves in the center to the base, then work the needle around the edges of the leaves. 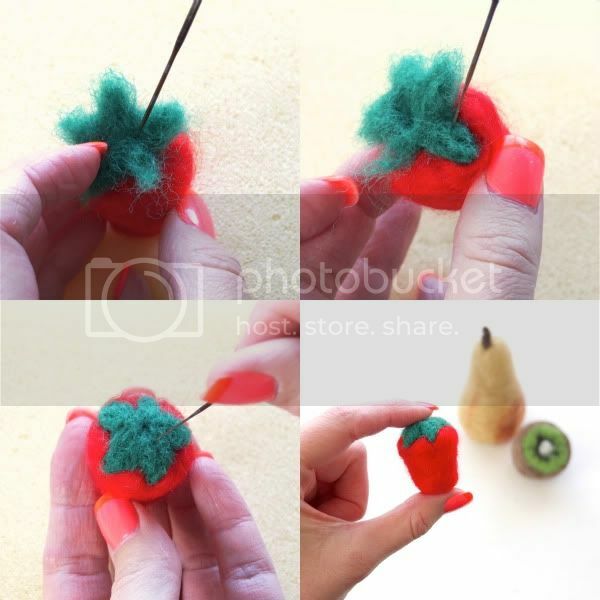 - Finally to tidy up any stray fibers, give the strawberry a 'surface needle' (rub the needle across the surface). If you enjoyed this project you may also want to make a Needle Felted Kiwi Fruit or a Needle Felted Pear.